In the critically acclaimed feature film from writer-director Kenneth Lonergan (You Can Count On Me, Margaret), Casey Affleck stars as Lee, a man whose sparse existence is suddenly ruptured when the death of his brother Joe (Kyle Chandler) forces him to return to the hometown he abandoned years before. Rocked by contact with his estranged ex-wife (Michelle Williams) and the revelation that Joe has made him guardian of his teenage son (Lucas Hedges), Lee is forced to face up to painful memories and new-found levels of responsibility as he reconnects with his family. 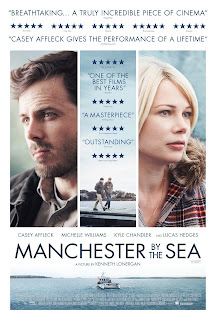 MANCHESTER BY THE SEA will be released in cinemas on 13 January 2017.